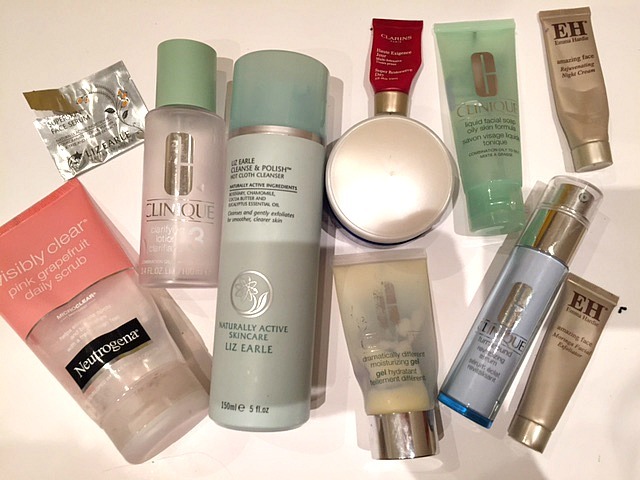 I have managed to collect and use up 24 empty products of the past 3 months ! I didn't really have much by the end of October so I thought I may as well just carry them all over to write up a huge end of year post! I have written one for pretty much every other month this year. I actually like writing them up monthly as it makes me think about the products I really liked using and the ones that i probably won't bother with in the future. 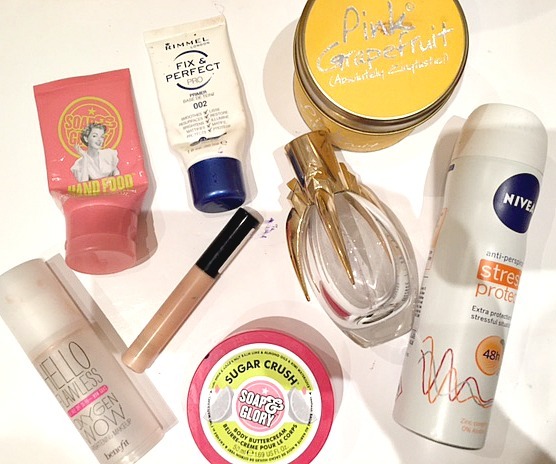 As usual I will write a little bit about my thoughts on each product and they shall all be linked too :) If you want to read my last empties post you will find it here ! My one true love is dry shampoo especially the Batiste range. These two scents are my go to ones as I love the packaging and the smell is fab :D. I think I go through at least one of these monthly. I have spoken quiet a lot about the Andrew Barton range over this year and they have become my favourites over the past few months. The Blonde shampoo smells divine and it definitely rivals the higher end, more expensive brands that are available. 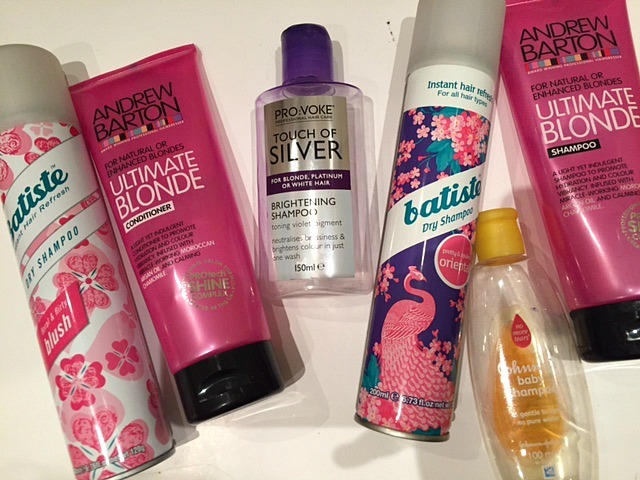 Read more about the Andrew Barton range here ! I have had this on my desk at work and it has worked a treat in the colder months. I love the scent of this one as its the sugar crush one which smells sweet and limey. I have a another one currently on the go. Again this is the sugar crush scent that smells beautiful. I think I still have a big tub of this left to get through as well. This was a bit of a disappointing product in my eyes. I have had for a while and I just wanted to use it up. It just wasn't to my taste, there wasn't enough coverage and it was a bit to thin in consistency. I don't think I would ever waste money on it again. I wrote about this in my March Favourites post and it has carried on being one of may favourites over this year. It is my second bottle of this perfume ! I asked my mum for it for christmas as I just love it so much. I always get complimented on it and people are always shocked when I say its Lady Gaga. I like it as an every day perfume. Just for work when you don't want to use your 'expensive' ones. I love lily flame candles. I actually included on in one of my Christmas Gift guides this year. This one has been the best one ever. It has lasted so long and is the best scent EVER ! I think I need to repurchase although I have two other lily flames that I haven't even burnt yet. I quiet liked using this. There isn't really much to say about a deodorant, it was good it did its job I have re-purchased. I don't really remember how I felt when I used this. I think the scent was pretty nice but it didn't really make much difference from just using a small sample. I love this cleanser. In my opinion it is the best one I have used, it is such good value for money and works really ell for my skin. Im sure everyone has seen so many fab reviews of it. Its quiet moisturising and keeps my skin really clear. I could not recommend it enough ! I used this while in the shower. I always like to have a facial scrub as I like to have fresh clean skin. this is quiet a cheap product so I always pick one up to have on the shelf. It smells really nice too. This was in my travel toiletries post as I bought it to take away with me on my summer holiday, which you can read here! I have used it before in the past and really enjoyed it so maybe I will kick it up again in the future. I have really enjoyed using this and I'm glad I purchased it at the time as I really wanted to try it out and I had the money too. However now I am on a bit more of a budget so I probably wouldn't be able to afford it at the moment. I would recommend it to anyone who fancies investing in a new serum. I can really tell the difference in my skin after using this. I put a layer on before bed and work it in to my skin and I love that my face feels firm in the morning. I would recommend if your on a bit of a beauty budget as you can usually pick this up in Boots or Superdrug on an offer. I really like this little sample! Enough to even make me go check it out in-store however, I have so much clinique that I still need to use up before I go purchase any more cremes! I bought this along with the clarifying lotion to take away with me. I really liked using it as its mild and gentle on my sensitive skin. I didn't particularly like the smell and make face defiantly needed a moisturiser after using it as it drys your skin out quiet a bit. This creme smells amazing. I really liked using it and it actually tastes quiet well seen as though it was only a small tube. I think I would actually repurchase this in a bigger size in the future. I did really like this but I wouldn't say it would be an essential in my routine. I liked the small exfoliating beads within it as it wasnt harsh but you could feel the difference. You can read my full review on the Emma Hardie collection here !